Words like exotic, mysterious, and alluring only begin to describe the experience of time spent in South Africa. 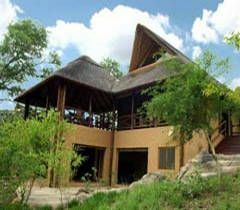 Staying at Sanbonani Resort provides all the comfort you need so you'll have a home base for your explorations. 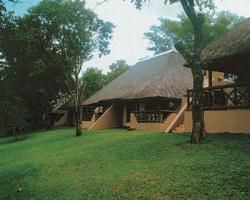 Places like Kruger National Park are a huge draw to the area, offering chances for wildlife viewings with few worldwide peers. An excursion through Kruger National Park can lead to sightings of lions, giraffes, zebras, antelope, buffalo, leopards, elephants and rhinos. If you're really observant, you may even see primates, jackals and hyenas. No wonder this part of Africa holds such fascination for so many. 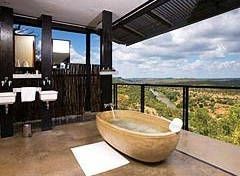 Other fun places to check out once you buy one of these South Africa timeshares for sale include the Gustav Klingbiel Nature Reserve, Mac Falls, Blyde River Canyon Reserve and Bourke's Luck Potholes. So Much Adventure in One Unique Destination! Aside from touring national parks and wildlife reserves, visitors also enjoy experiences like river rafting, abseiling, hot air ballooning, mountain biking, tubing and zip-lining. Go fishing and hiking for up close and personal encounters with the most beautiful natural areas of South Africa. Sudwala Caves is an exciting place to go for fascinating tours, while God's Window provides panoramic views of the breathtaking landscape. 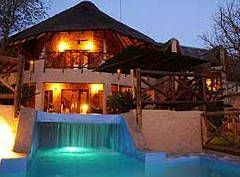 Visitors staying at Sanbonani enjoy swimming pools, a spa and wellness center, tennis and squash courts, a gym, convenient laundry service and the delightful Mhangela Restaurant. The on-site safari desk will help you to make the necessary arrangements for spectacular sight-seeing adventures. 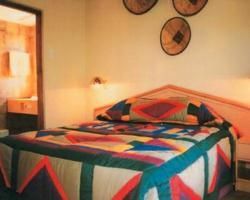 Deciding on South Africa timeshares for sale comes with excellent benefits! Spacious two and three bedroom thatched timeshare chalets offer visitors amenities like a nicely equipped kitchen area with stove, microwave, fridge, oven and cooking necessities. Guests also enjoy air conditioners, heat in cool months, DVD players, televisions and towels and linens supplied and serviced each day. You can even spend a relaxing evening in your chalet barbecuing on the veranda for a change of pace. Once you've enjoyed staying at Sanbonani, it will quickly become your favorite adventure destination.